“We’re not trying to mirror the socioeconomic or income distribution of the United States,” Khurana replied. “What we’re trying to do is identify talent and make it possible for them to come to a place like Harvard.” Khurana’s response proved to be quite controversial amongst liberal-minded individuals, who argued that Harvard should strive to admit applicants from all socioeconomic backgrounds. On Wednesday, the plaintiff, an activist group called the Students for Fair Admissions, pointed to an internal Harvard report from 2013 that showed that Asian-Americans had the lowest acceptance rate of any ethnic group. On Thursday, Duke economist Peter S. Arcidiacano took the witness stand. 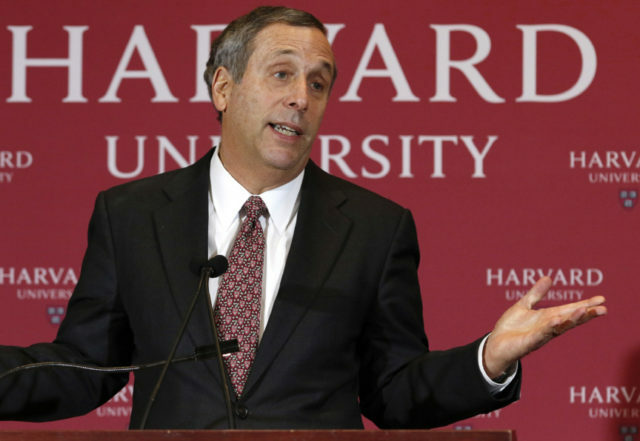 Arcidiacano submitted a report to the court over the summer that included a thorough analysis of Harvard’s admissions data. The report concluded that there was “compelling” evidence of discrimination against Asian-American applicants. Arcidiacano contends that Harvard used low “personal rating” scores to balance out Asian-American applicants’ high test and academic scores. On Friday, Harvard attorney Bill Lee attempted to debunk Arcidiacano’s report. Lee argued that Arcidiacano’s report omitted several variables that factor into the admissions decision, namely parental occupation, intended career, and staff rating indicator. Eight current Harvard students are set to testify this week about their experiences with the school’s affirmative action practices.